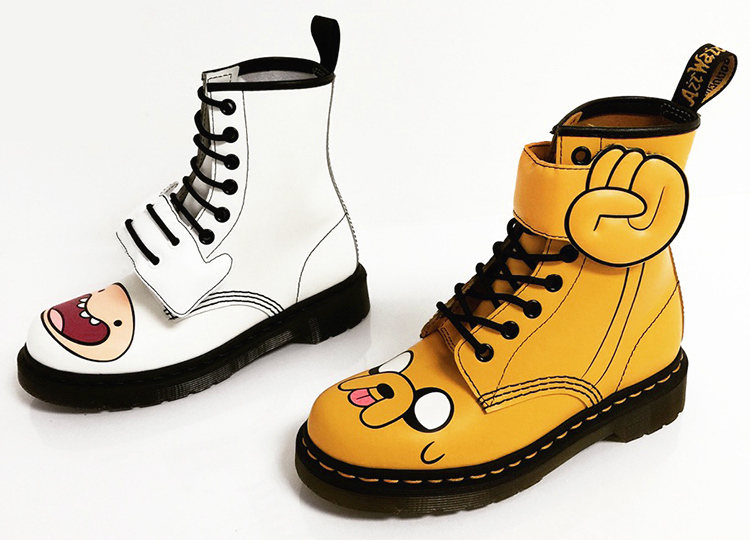 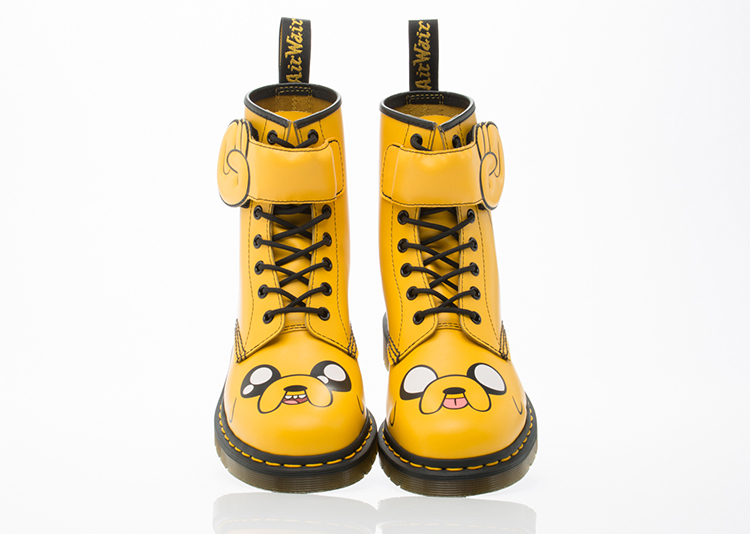 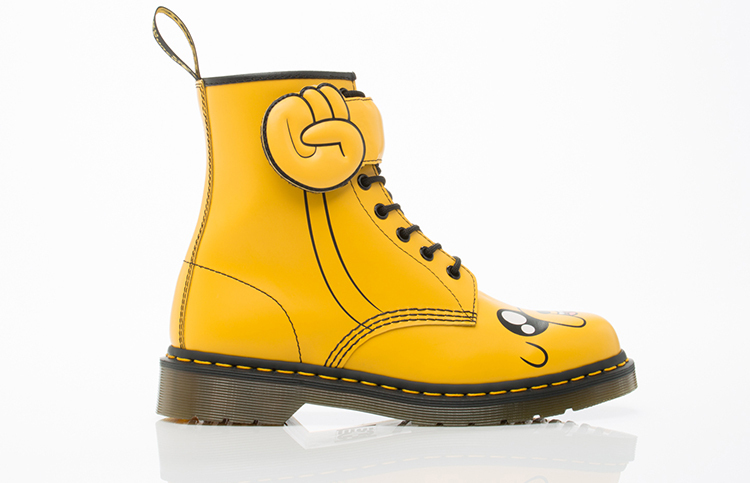 Cartoon Network has collaborated with British footwear brand Dr. Martens and will be releasing a new Adventure Time-themed series of boots for men and women. 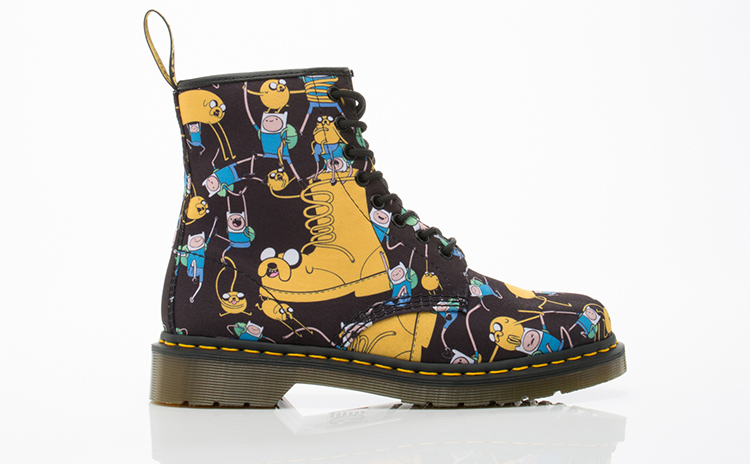 The mathematical collection of boots are currently available to pre-order online from SOLESTRUCK. 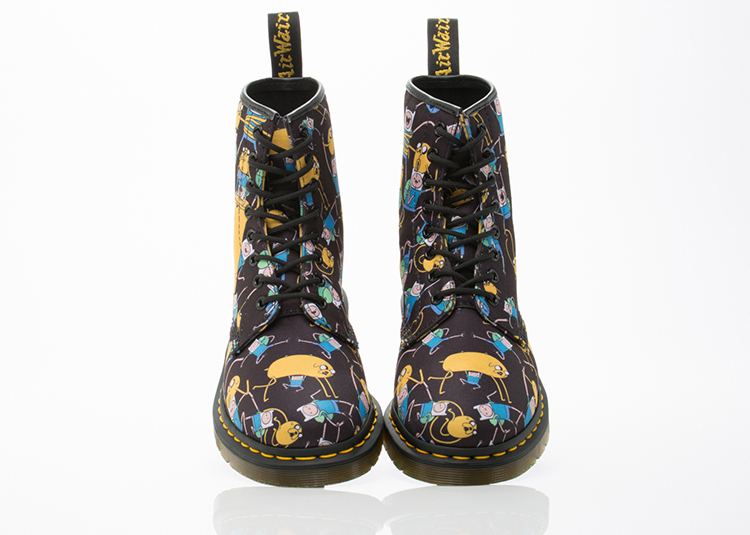 They are scheduled to become available to purchase in Dr. Martens stores and online on March 3, 2015.